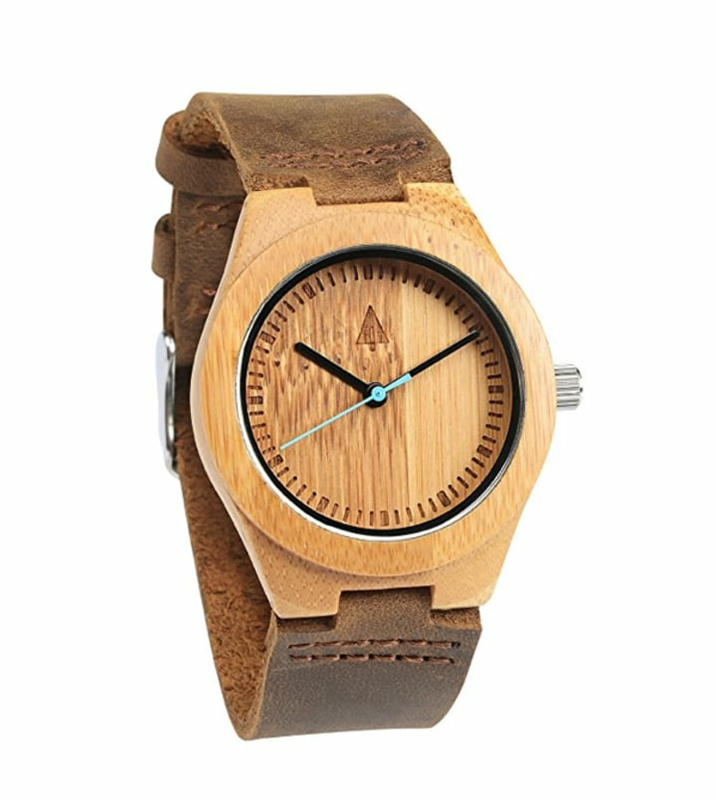 Is that a wooden watch? It's a question my husband gets asked all the time, and the answer is always yes. 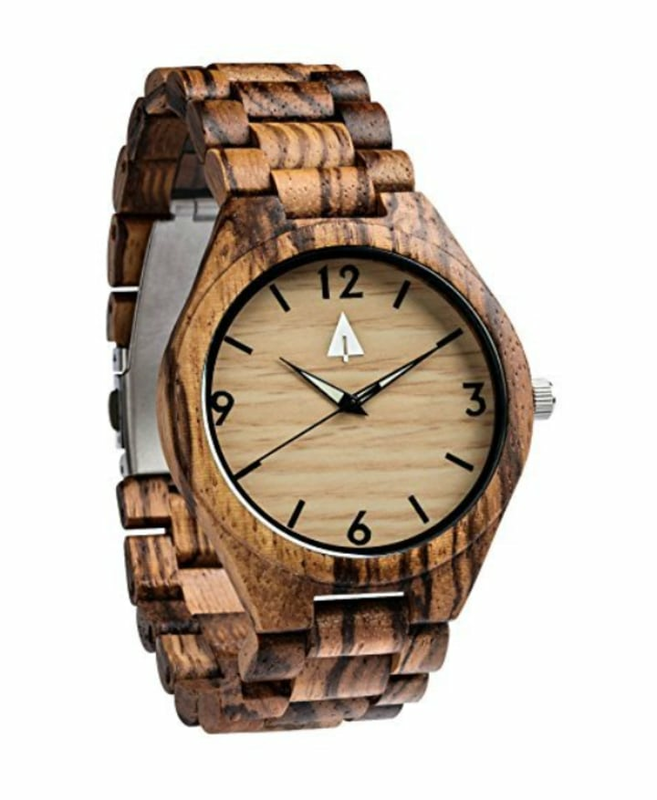 A few birthdays ago, I ordered him a wooden watch from Treehut and he still gets compliments on it. The best part? 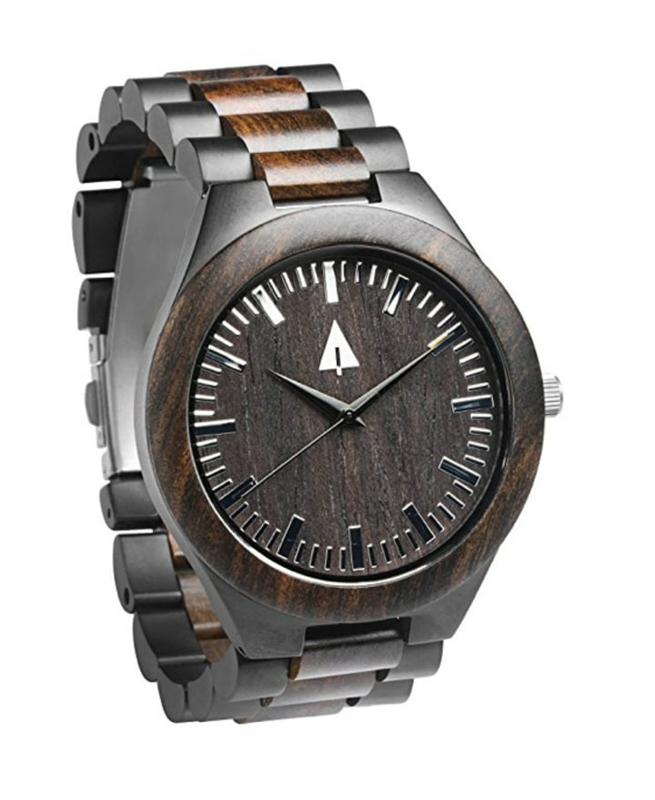 Once he confirms that his watch is indeed made of wood, he almost always takes it off and shows them the back. "My wife got it for me, and she had it engraved," he'll say, showing them the message I had etched into the back of the watch face. "You make every minute better," it reads. It makes for a great Father's Day gift ... or a great gift for men, in general. In addition to the fact that the Treehut watch makes me look like the most caring and thoughtful wife ever, my husband also truly loves it. He says it's lightweight and comfortable, and he wears it all the time — whether it's to a work event or to run errands with the kids on the weekend. So, I know he's telling the truth. 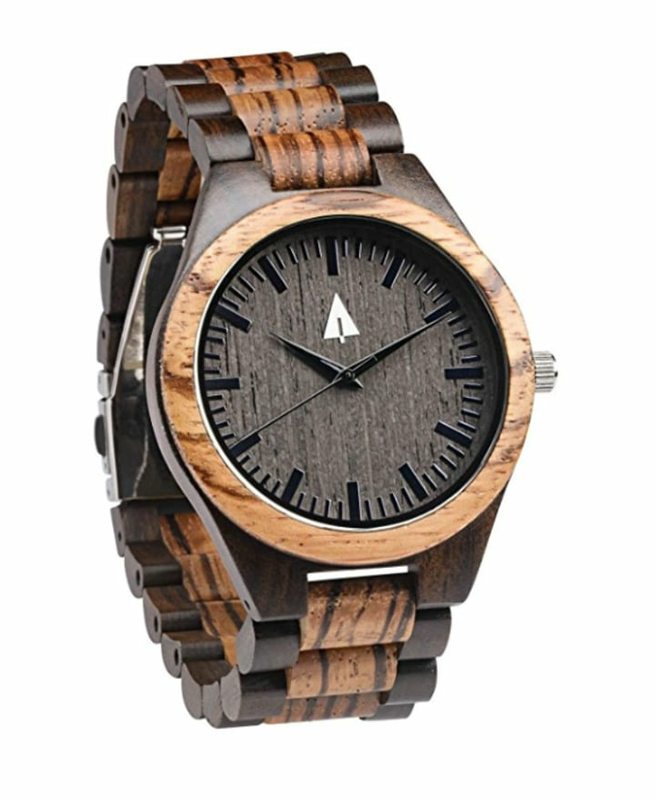 His specific Treehut watch is the zebrawood and ebony style. 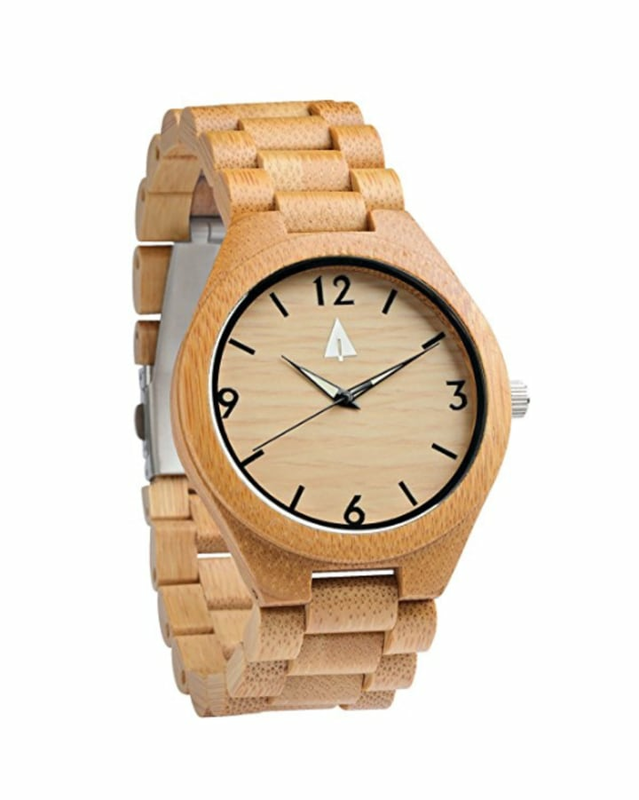 But, Treehut makes watches in several varieties and colors of wood, and even makes some that combine wood and stainless steel or leather. 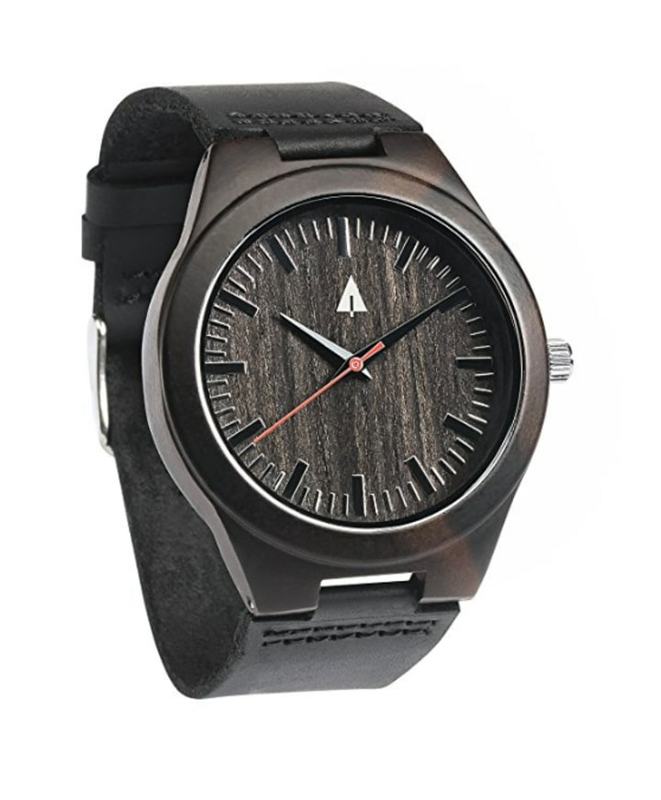 The watches are available with Prime shipping through Amazon. 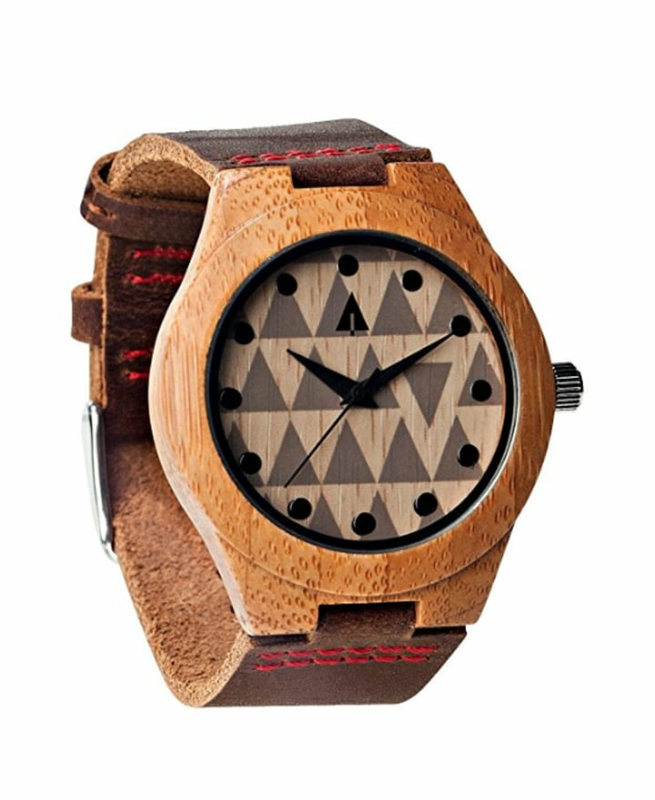 If you're after an engraved version, you can get it through Treehut's website. 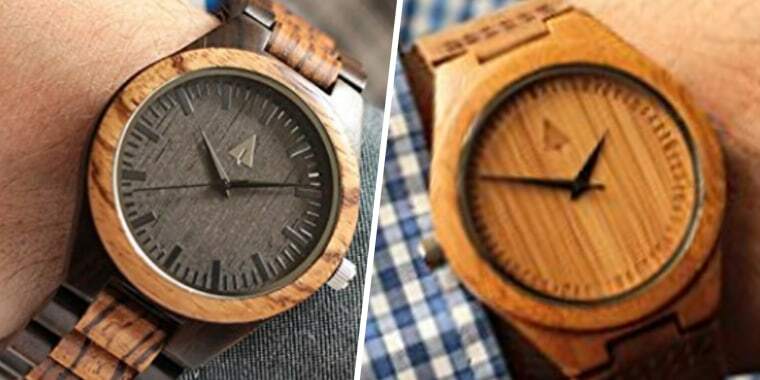 From stainless steel faces to leather bands, here are some of our favorite Treehut styles, all of which are hand-crafted by the Treehut team in their San Francisco studio and made from real wood. Need other Father's Day gift ideas?